The team at Sin du Jour-New York's exclusive caterers-to-the-damned-find themselves up against their toughest challenge, yet when they're lured out west to prepare a feast in the most forbidding place in America: Hollywood, where false gods rule supreme. Starring: The Prince of Lies, Lena Tarr, Darren Vargas. With Byron Luck. Introducing: the Easter Bunny. 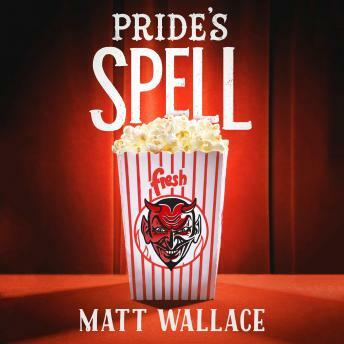 Pride's Spell is the third installment in Matt Wallace's Sin du Jour series. 'I fell in love with this series for its joyous, high-octane sense of mayhem, but I would stay just for the food. When you read it, you'll forgive me for saying this: each entry leaves you hungry for more.' -- Melissa F Olson, author of the Scarlett Bernard series, and Nightshades.